We treasured a childhood growing up on a farm in Iowa and the qualities and life lessons it gave. We wanted this for our three daughters (Natasha, Jordan, and Aspen). With the future in mind we wanted to create a sustainable and responsible farm. 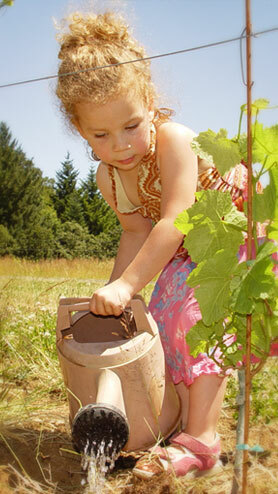 That is why we started farming organically in 2003 and continue to move toward biodynamic practices. 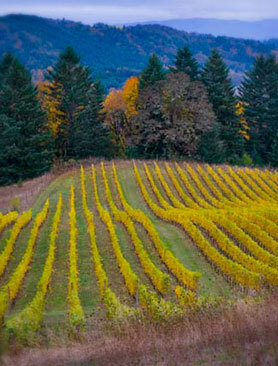 Youngberg Hill is a small, family estate grower and producer of Oregon Pinot Noir and Pinot Gris. We purchased Youngberg Hill in 2003 and overhauled the entire estate, including vineyard management, winemaking, tasting room, and hospitality. With backgrounds in winemaking, distribution, food & beverage, hospitality, and marketing, we knew that all of our talents would be used to turn something that was already beautiful on the outside into a place that was equally as beautiful on the inside, too. 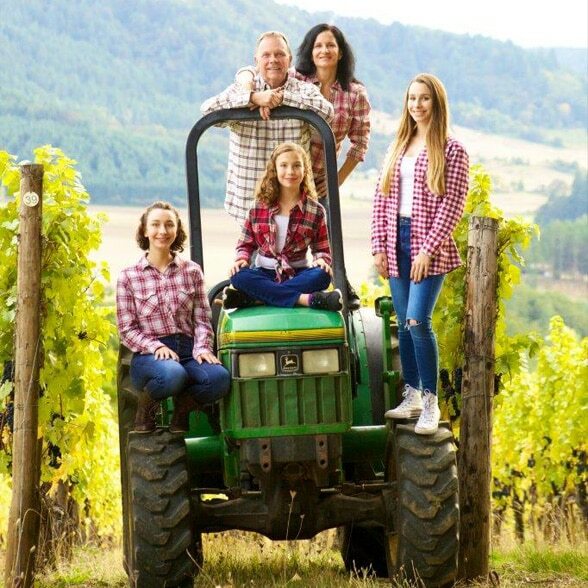 Having the Inn on the vineyard is a great way to meet people from all over the world, make new friends, and to share the beauty of our McMinnville winery. It is wonderful to share our world with those who have a common interest in good wine, good food, and the wonder that abounds in this beautiful place we call Oregon wine country. 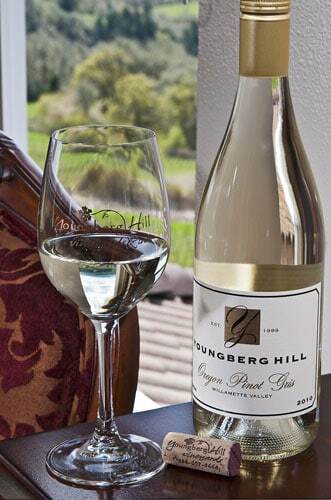 Founded in 1989, Youngberg Hill aspires to create the very best wine from the grapes grown in each vintage. We focus our attention on growing the highest quality of grapes possible and then managing the fruit through the fermentation process. By limiting yields and restraining barrel treatment, we are able to produce fine wines that give a pure expression of our beautiful vineyard and its terroir. Wine is a wonderful gift from nature, and its qualities vary according to the year and all of the different elements in a vine’s growing environment. The French term which describes this concept is terroir – meaning not just the soil, but also the rainfall, drainage, exposure and climate specific to a given site. The journey of a vine through its growth cycle, within its specific terroir, is an amazing thing: the vine sends its roots deep into the living earth. It struggles in search of water and nutrients, in communion with the unseen but vital world of soil microbes. Above the ground, the vineyard teems with life. A large community of grasses, herbs, and wildflowers supports a complex array of insect life, and the vine, with its verdant canopy, sends out its flowers and produces a crop of grapes. During the warm days of summer, the grapes soak up the sun and ripen. When the seasons begin to change and autumn is arriving, it is time to begin the harvest, not too soon and not too late. The attentive grower watches over the vines as nature works its miracles, feeling the energy of life in the air and tending the vineyard sensitively and with a light hand. It is the winegrower’s job to bring out the potential of the grapes and to let the story of this place- the terroir of the vineyard and the year of the vintage- be told with clarity in the wine. Here at Youngberg Hill, we aim to accomplish just that with every bottle of wine we make. We practice holistic farming and natural winemaking to allow our wines to express where the fruit is grown on our hill, in different soils and weather of that growing season. As you sip our wines, you will sense the farm we care for, the passion we have, and memories we share with you. Our goal is for life on the farm including the soil, the vines, and all other plant and insect life to be healthier 50 years from now than today. The vineyards are 20 total acres with three distinct blocks of Pinot Noir and one block of Pinot Gris and Chardonnay. The Natasha block at 6.5 acres is the largest of the three Pinot Noir blocks, and is located at an elevation of approximately 600 feet on marine sedimentary soil. The Jordan block of Pinot Noir is 5 acres in area and grows on a steep slope of volcanic rock at an altitude of approximately 750 to 800 feet. Both blocks are own-rooted 60% Pommard and 40% Wadenswil clones, planted in 1989. The Bailey block, Dijon 777 on 10114 root stock, is our third block of Pinot Noir planted in 2008, has an area of 3.5 acres located between the Jordan and Natasha blocks. It grows in primarily volcanic rock with a wide band of shale running through the middle about 18 inches down. The Aspen block, planted in 2006, consists of 2.5 acres of Pinot Gris, 148 and 152 clones on 3309 root stock at approximately 525 to 600 feet; and 2.5 acres of Chardonnay, 75, 76, 95, and 548 clones on the same root stock. These clones are more suited to ripen in our cooler climate. We started farming organically in 2003, have been practicing biodynamic farming since 2011, and dry farm, meaning no irrigation. We are totally in balance and sync with nature.  Youngberg Hill has earned third party sustainable certifications for LIVE (liveinc.org) and Salmon Safe (salmonsafe.org), and in 2010 we were certified “Sustainable” by the Oregon Wine Board. The soils are complemented by distinct weather here in the coast foothills. Located only 25 miles from the ocean, the coast range provides a shadow for the weather coming from the coast. We receive slightly less precipitation and more sunny days. We enjoy long days in the summer, cool day temperatures of 83 degrees, coastal breezes every afternoon, and cooler night temperatures of 55. All of these elements are excellent for growing Pinot Noir and enable us to produce extremely high quality fruit with rich, intense black fruit flavors.